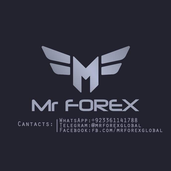 About me Forex Trader, Market Analyst, Forex Trainer, Signal Provider and Account Manager. Hit "Like & Coment" if you found this analysis usefull. wait for the wedge breakout and retest. Please Click "LIKE"&"COMMENT" if you find this analysis usefull. Hit Like and Comment Thank you, if you found this Idea useful Please :) For more Charts visit our telegram channel (mrforexglobal).